While many of our articles discuss negotiation theory and the latest research, sometimes it helps to discuss negotiation examples in real life when offering negotiation tips and advice. The following negotiation example is based on bargaining in real estate, a negotiation scenario many of us may face in our lifetime. Imagine that you and your family have moved to a new town. You’re living in a month-to-month rental and have finally found the perfect house to buy. Unfortunately, the seller is being unreasonable. The house is on the market for $600,000, but your research, backed up by your broker’s opinion, tells you it’s overpriced. By your estimate, a fair price would be $500,000, but when you offer that amount, the seller tells you that you are “not even close” and doesn’t counter. You think the seller is in denial about the slump in the housing market, which has affected prices in your town quite a bit. Sellers are looking at the prices paid for their neighbors’ houses a few years ago, while buyers are looking at comparable transactions from the past few months to try to determine the “fair” price. You might consider creative deal structuring to break through the resulting impasse. 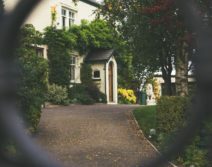 Start by noting that the typical house purchase is a very “tight” deal: once the seller commits to a particular buyer, the seller can’t (legally) sell the house to someone else, even if offered a substantially higher price. In your circumstance, a “loose” deal structure might provide a way forward. Imagine that you make a slightly higher offer (it is, after all, your “perfect” house) of, say, $525,000. Then give the seller 60 days to keep shopping the house. If a better offer comes in during that time, the seller has the right to walk away by paying you a “breakup fee”—say, $25,000 or less. Although this kind of deal structure isn’t very common in the United States, it’s actually the norm in the United Kingdom. There, a homeowner can formally accept an offer from one buyer but remain open to competing offers up until the moment of closing. The British even have a word to describe what happens when a third party jumps a deal: gazumping. The buyer can even buy “gazumping insurance” against getting gazumped. As you can see, real-estate sales in the United Kingdom are a free-for-all until the moment of closing. The point isn’t that the British system is better—in fact, gazumping can wreak havoc on people’s lives. But in certain situations, creative deal structuring might break through the impasse. Do you have any negotiation examples to share? Leave us a comment. Adapted from “To Break an Impasse, Loosen Up,” by Guhan Subramanian (professor, Harvard Business School and Harvard Law School), first published in the Negotiation newsletter. Tags: bargaining, Business Negotiations, closing the deal, deal negotiation, dealmaking, Guhan Subramanian, Harvard, Harvard Business School, harvard law, harvard law school, negotiation, negotiation example, negotiation examples, negotiation newsletter, negotiation scenario, negotiation theory, negotiation tips, negotiations, price negotiation, What are negotiation examples in real life? Please note that your description of a “loose deal structure” is not the same as gazumping practices in the UK. In 30 years of living in London, I have never heard of a single instance where the seller pays a break-up fee for not proceeding with the original sale. Your description of the loose deal structure being the norm in the UK is therefore misleading. This is an interesting idea in bridging the valuation gap. I suppose the existence of bone fide third party offers is a problem. I wonder if it might not work better for the sale of a small business? But, I don’t think that the British market includes the break-up fee, it just keeps the bargaining going. In England, both the buyer and seller can back out during the time between signing the offer and completing the various necessary inspections, financing, etc. Sellers are looking at the prices paid for their neighbor’s houses a few years ago, while buyers are looking at comparable transactions from the past few months to try to determine the fair price.. There might be a better way – put more currencies on the table. For example, I worked with one homebuyer who on his first trip to a new city after taking a new job found the house of his dreams, but the seller wanted about $100,000 more for this great house then he could qualify for on a mortgage. The company he was joining had a relocation policy allowing for up to a three month rental to find a new permanent residence. So, he offered to but the home for X and rent it for three months to make up some of the shortfall. Both buyer and seller were quite pleased with the outcome. Negotiations like everything else is contextual. Here the assumption is that it is my dream house and I have the ability/wherewithal to pay a premium if I chose to do so. In am unconstrained. The context is that I may have take loan and my lender is going to apprise and determine if that is a fair price. The lender may need a commitment to the price before they do so and the lender might refuse to lend if they do not agree the price as being fare. So if I am constrained for whatever reasons, then this option is not feasible. This is obviously an option but that option has be based on the totality of circumstances. I am a career real estate professional with experience in residential, Commercial, Commercial Development, Leasing, Legal (as a big-firm commercial RE paralegal) and I am a Licensed Broker. I am also a graduate of PON, circa 2001. I would be happy to join the panel for a conversation on real estate, if you believe it would be beneficial. Reach out. I provided my email in the block.